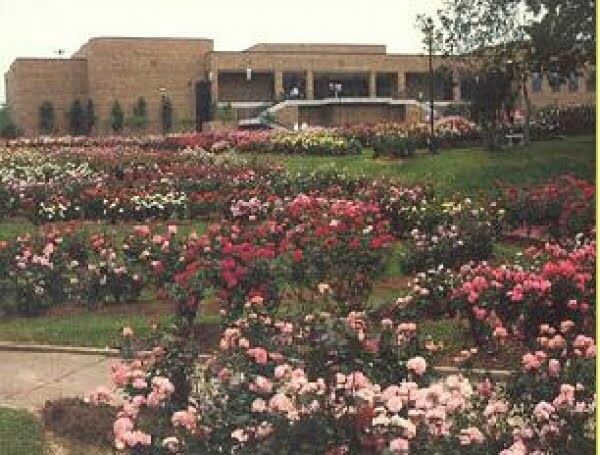 This first part of October in Tyler is all about the Rose Garden. The Tyler Rose Garden is really a beautiful place to visit any time, but it really shines in October. Our city has many activities for visitors and you should come and see what it is all about! However, there is lots more to do, which we will try to feature, too. These activities include a pet fair, a huge “garage sale”, Back to the 50″s, flower bulbs for sale, a festival and symphony concert,”Dancing with the Stars, golf tournaments, White cane Event, and the Texas Rose Festival. Let’s get started. Tuesday, October 5th, 2010 @ 12:00pm The monthly 1st Tuesday in the Garden lecture series, an educational program sponsored by the Smith County Master Gardeners, in the I.D.E.A. Garden at the Tyler Rose Garden. This program is free, open to the public, and about an hour long. Feel free to bring your lunch and paper and pen for note taking. The I.D.E.A. 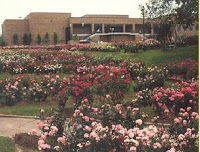 Garden is located in the SE corner of the Rose Garden with ample parking available outside of the SE gate. In case of inclement weather, the lecture will be moved inside the Rose Center. Free Hot Dogs and Rootbeer Floats, Southern Maid Band, Pet Costumes Contest, Tyler Obedience Training Club, Demo Visit with Therapy Pet Friends of Skid Boot in Action, Police Dogs at work, Pony Rides, Pet Vendors, Henderson Country Humane society and Pet Adoptions. The Great East Texas Garage Sale A Community Event. Buy. Appliances, Furniture, Antiques, Collectibles, Electronics, Kids Toys, Outdoor Equipment, Saddles and Tack, Household Items and much much more! Sell. Just drop off your items Oct. 5 or 6 from 9-6pm Must be a registered seller to participate. Register as quickly as possible as the community interest in this event has been huge and space is limited! Consignments only. Register online at GreatEastTexasGarageSale.com Volunteer. Volunteer and be entered to win our drawing for 1 or 10 $50 gift cards for the sale. Plus hang out with other Great East Texans at this Community Event! Register as a seller online as quickly as possible. The best time slots are filling up fast! Tell your friends! The more people who know the more great stuff to buy and sell. RetroFest 2010 This annual event will celebrate our memories of past decades and will be a great way to raise the FUNDS needed to carry out the Alzheimer’s Alliance of Smith County’s Mission. The organization offers support, education and resources to individuals, families and professionals touched by Alzheimer’s or related dementias in Smith County. The fun begins at 5:00 p.m. at the Tyler Rose Center & Gardens and will conclude at 7:30 p.m. No registration fee. Individual donors who give or collect and bring $20 or more receive a free event t-shirt. THE OIL PALACE PROUDLY PRESENTS LIVE IN CONCERT THURSDAY, OCT 7TH @ 8:00 PM: CHRIS TOMLIN TOUR WITH SPECIAL GUEST STARS!! THAT’S RIGHT PATRONS CHRIS TOMLIN!! CHRIS TOMLIN IS AMONG THE MOST WELL-KNOWN AND INFLUENTIAL ARTIST IN CONTEMPORARY CHRISTIAN MUSIC WITH SIX RECORDS, SEVEN NO. 1 SINGLES, THREE GRAMMY NOMINATIONS, 14 DOVE AWARDS, ONE PLATINUM AND ONE GOLD ALBUM TO HIS CREDIT! HE IS FINALLY COMING TO TYLER TEXAS – PRAISE THE LORD! This event includes an educational program along with an opportunity to purchase heirloom and unusual bulbs not normally found at local nurseries and retail stores. Greg Grant will offer landscaping advice and ideas with a presentation titled Right Plant, Right Place, Home Landscaping 101. Greg Grant is Lecturer in the School of Horticulture at Stephen F. Austin State University. He is also co-author, with William C. Welch, of the Southern Heirloom Garden (1995, Taylor Publishing, Dallas, Texas) and a regular contributor to Neil Sperry’s Gardens magazine. Smith County Master Gardener Merlin Eck will present a slideshow providing information on the many varieties of bulbs for sale following the conference. The Smith County Master Gardeners will be available to assist the public and provide answers to gardening questions via a Help Desk. The 2010 Downtown Tyler Concert Series will continue in October with the fourth and final concert of the series in the heart of downtown Tyler. From 5:30 p.m. to midnight on Saturday, Oct. 9 Festival on the Square brings Texas Music back to the brick streets of downtown Tyler.Tickets $15 in advance or $20 at gate. For more information call Gallery Main Street at (903) 593-6905. The concert is by the East Texas Symphony. 5th Annual ballroom dance competition. Competition, dinner and dancing for all! Trinity Mother Frances will be doing vision screenings and the East Texas Food Bank will be taking canned food donations. A free reusable shopping bag will be given to the first 500 people to donate food. White Cane Day is nationally recognized on October 15 to celebrate the achievements of people who are blind and visually impaired and highlights the freedom and mobility that the white cane gives blind and visually impaired people.The Lighthouse honors this day by having their annual White Cane Walk. The walk starts at noon and is a half-mile walk routed through the neighborhood surrounding Bergfeld Park.East Texas Lighthouse for the Blind Rehabilitative Services will provide games and activities for the public. Be sure to bring your appetite! There will be everything from hamburgers to funnel cakes for sale. Don’t forget to mark your calendar for Oct. 15 and come celebrate the achievements of blind Americans by participating in the Educational Fair and White Cane Walk at Bergfeld Park. Discover why people keep coming back, year after year, to be part of Texas’ most beautiful event. You’ll be overwhelmed by the unbelievable aroma of hundreds of thousands of roses displayed in artful arrangements at the Rose Show, growing in manicured beds in the Rose Garden and covering hundreds of acres in the rose fields. Enjoy “tea with the Queen” at an annual community celebration. Relive the past in the beautiful Rose Museum; be enchanted by courtly costumes at the Queen’s Coronation; and admire the artisans’ touch at the Palette of Roses Art Show. When your eyes have taken it all in, treat your ears and tap your feet as the bands march by in the Rose Festival Parade. Come see why everyone who visits the Texas Rose Festival leaves saying, “I’ll be back!” Click here for more information!!! LOTS TO DO THE FIRST PART OF OCTOBER-NEXT BLOG WILL FEATURE THE LAST PART OF OCTOBER-LOTS OF HALLOWEEN FUN!!! This entry was posted in Uncategorized and tagged East Texas Symphony, Music in East Texas, Shopping, Tyler Rose Garden, Tyler Things to do by admin. Bookmark the permalink.